Thankfully, your #Foodporn photos are going to get even more beautiful. 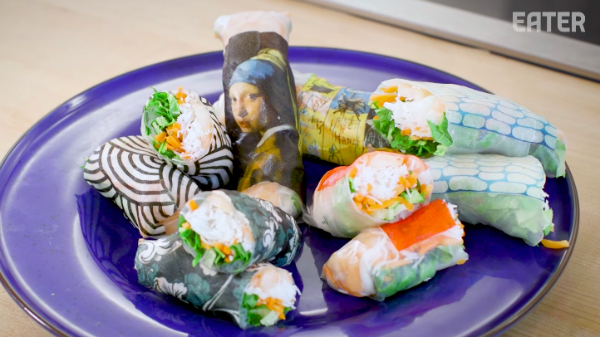 In Eater’s video series titled You Can Do This, Head of Development Clifford Endo describes how you can print artworks on food in the comfort of your own home. The materials, or ingredients, required to get started on these palatable crafts are pretty straightforward—you just need edible ink printer cartridges and potato starch “paper,” which easily dissolves and transfers onto food. Endo applies the technique on summer rolls, but he recommends you get creative and try it on other delicious mediums like burritos. Watch his tutorial below to learn more.